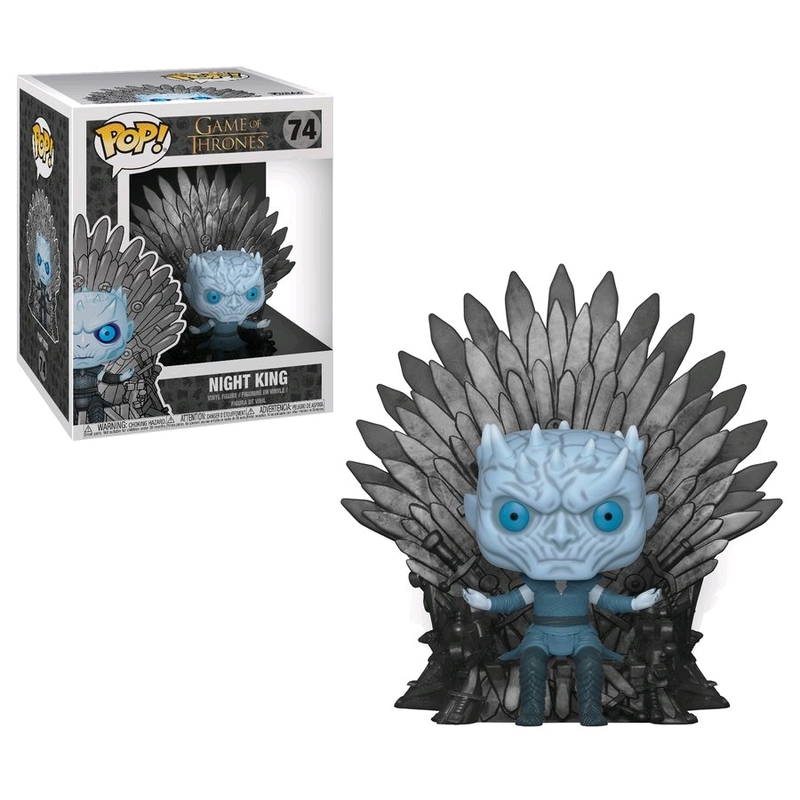 Prepare for the final epic season of Game of Thrones, where the fate of Westeros will finally be decided, with Funko's new wave of Game of Thrones Pop! Vinyl Figures! The Iron Throne is the throne upon which the King of the Andals and the First Men sits, located in the Great Hall of the Red Keep in the city of King's Landing. Who will be sitting on the Iron Throne at the end of Season 8? This Deluxe Pop! Vinyl features Night King sitting upon the Iron Throne. A must for any Game of Thrones fan, add him to your Funko collection today! Our Price $44.99 Another currency?